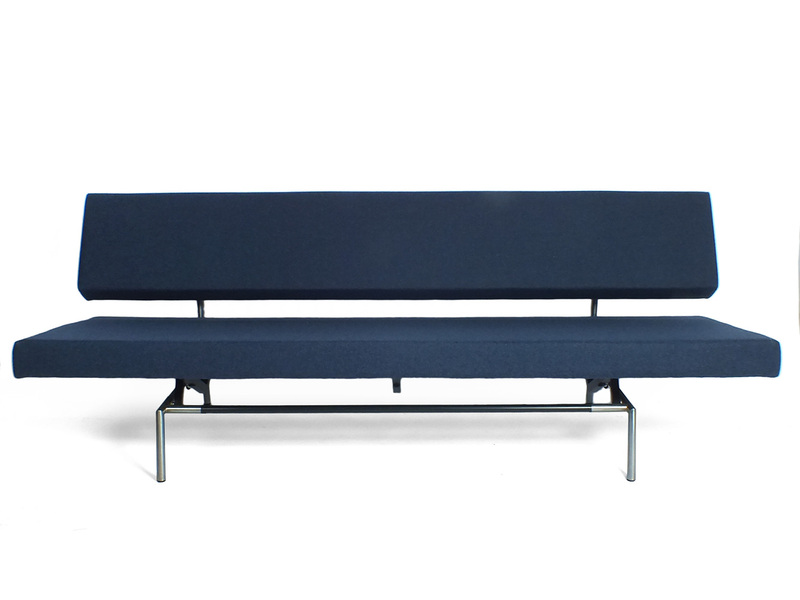 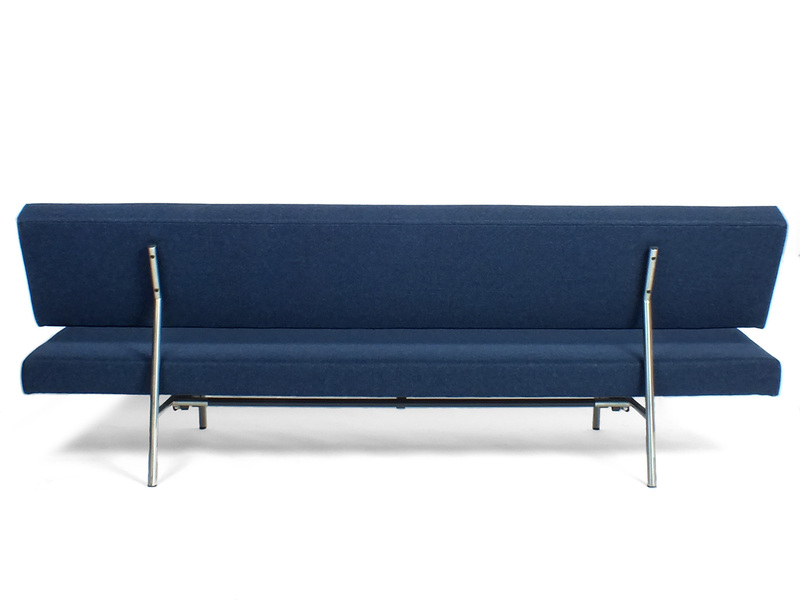 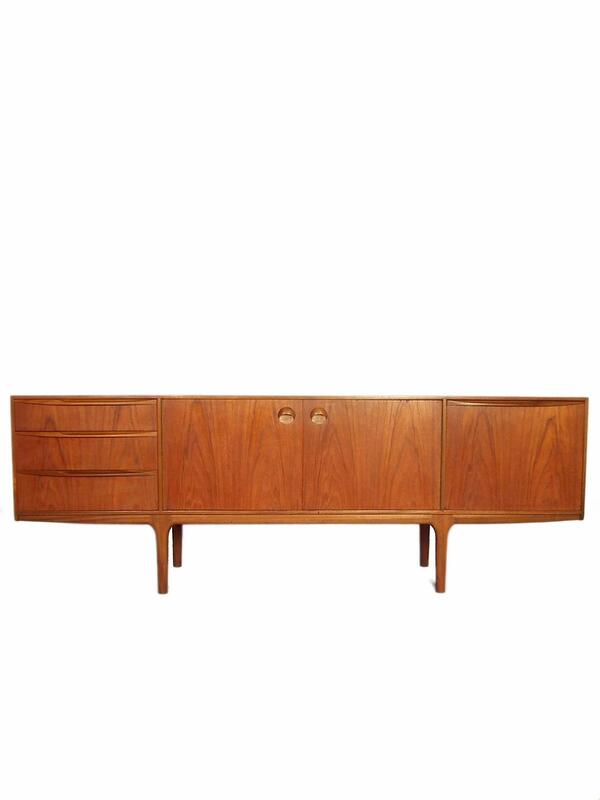 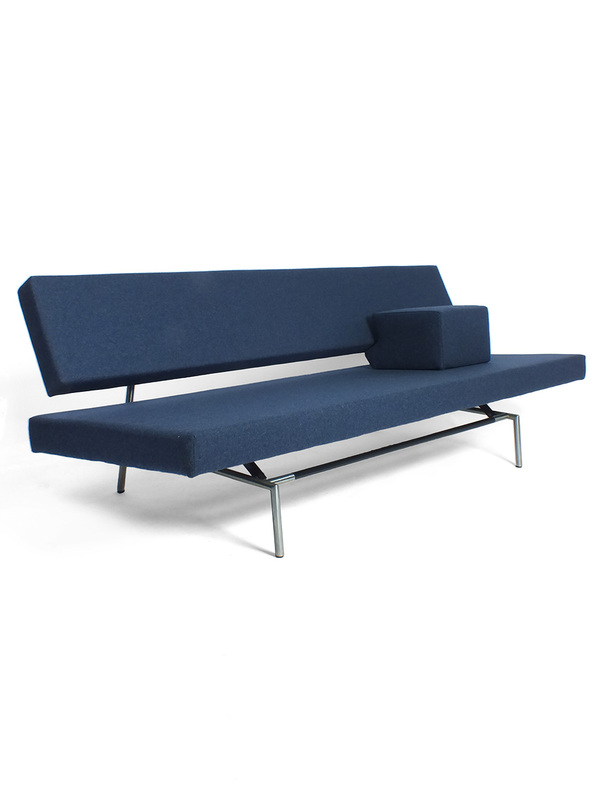 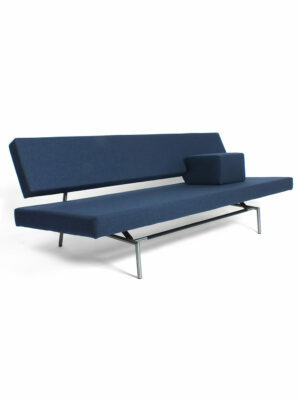 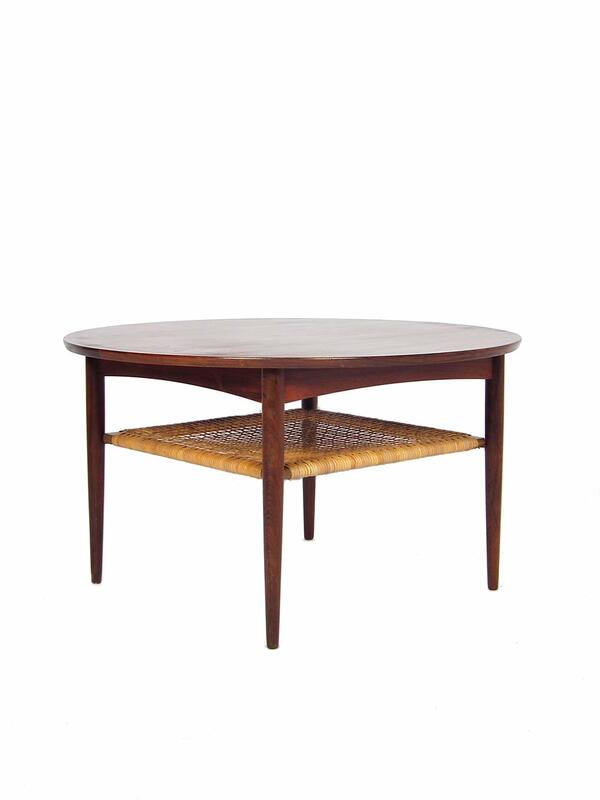 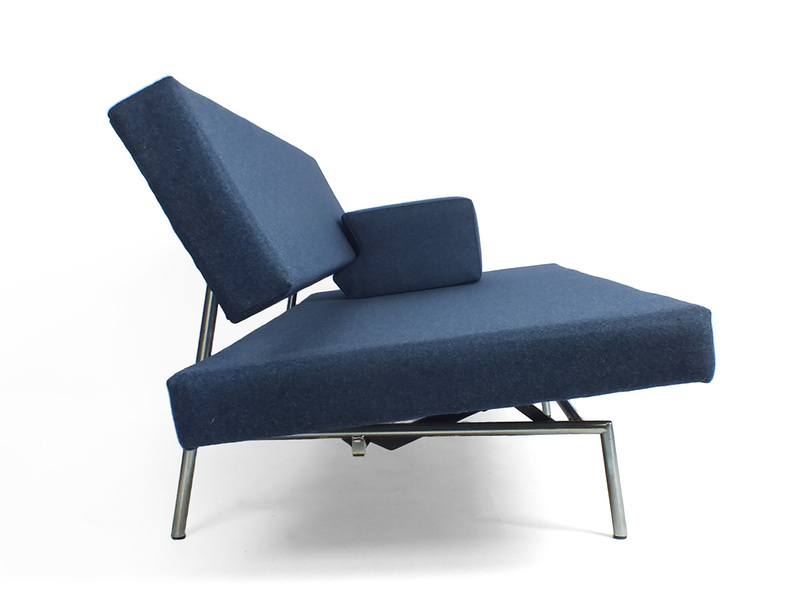 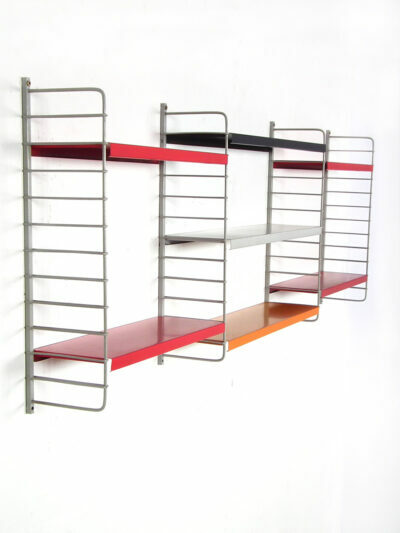 In the late 50s Martin Visser designed sofa bed BR 02.7 for ‘t Spectrum. 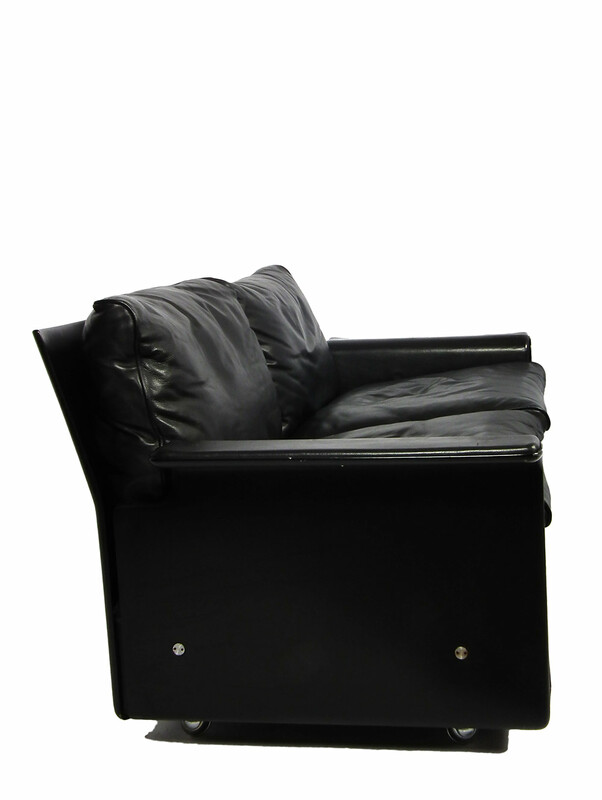 This sofa has a round matt chrome-plated metal and black metal tube frame and a separate armrest BA 02. 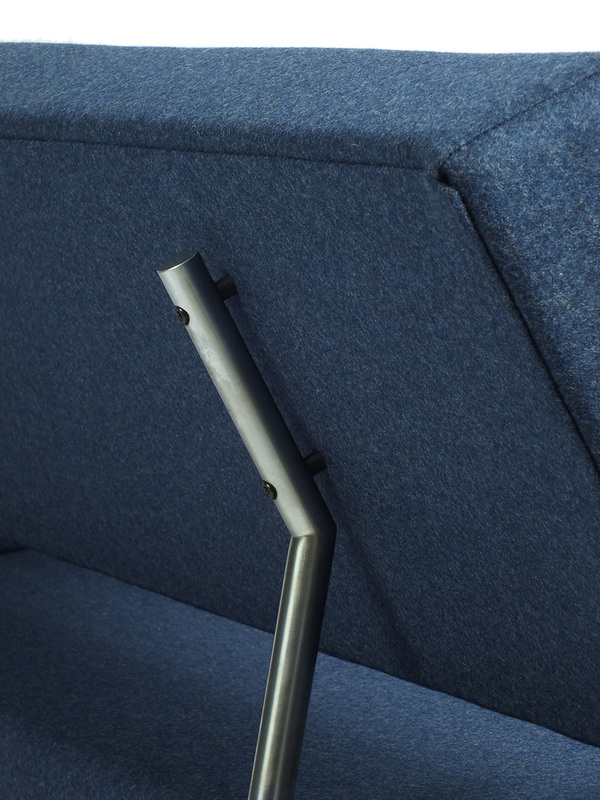 The sofa and armrest are professionally restored and re-upholstered with a dark blue woolen felt from Keymer. 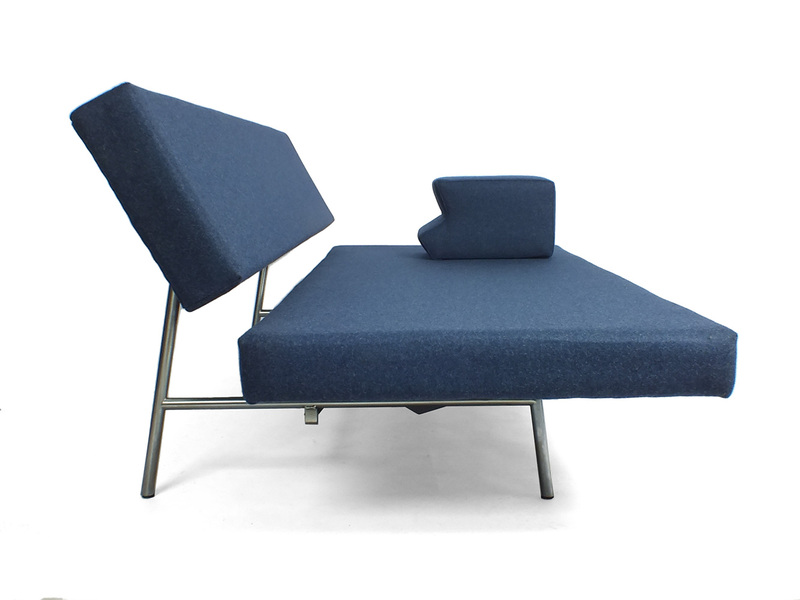 This bank can be converted easely into a single bed with a simple action.